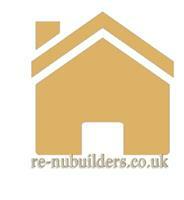 Re-Nu Builders Ltd - Bathrooms, Kitchens, Plumber based in Slough, Berkshire. I am a highly motivated, reliable, trustworthy and talented individual with over 5 years of experience within the maintenance industry. I specialise in all sorts of bathroom & kitchen projects as well as all aspects of plumbing. From changing a tap to a radiator replacement. We also take on full house refurbishments bathrooms kitchens plumbing radiators we are transparent when it comes to cost and will ensure we provide impartial, realistic and honest advice on anticipated programme durations. Why choose Re-Nu Builders? By using our extensive experience, knowledge and contacts we will help deliver projects that exceed expectations. Through the personal commitment of our team and full deployment of our resources our customers can be confident that their projects will be handled and executed efficiently and professionally. We pride ourselves on customer satisfaction and delivering best value.